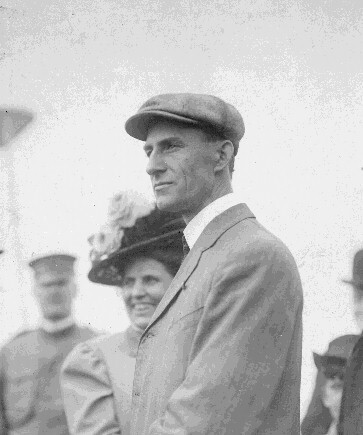 s Wilbur filed his suit against Curtiss in New York, he was approached by the Hudson-Fulton Celebration Committee. New York was gearing up to celebrate 300 years of history, including Hudson's exploration of the Hudson River and Fulton's invention of the steamboat. 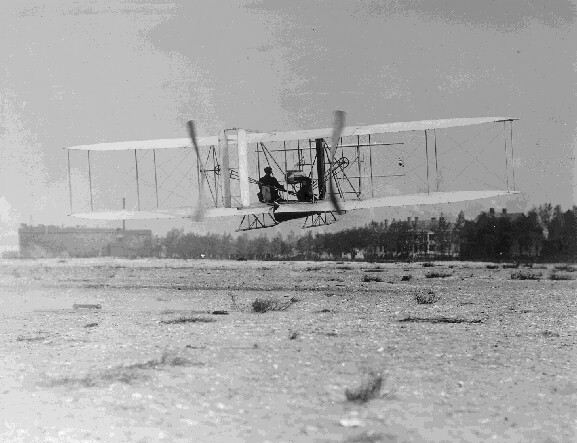 They wanted to showcase the Wright Brothers as the main event of this blow-out by having them make a flight at least 10 miles in length or 1 hour in duration. 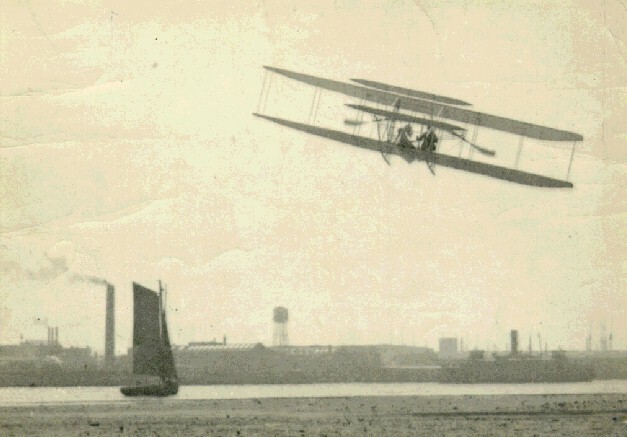 Unbeknownst to Wilbur, they also asked Glenn Curtiss to make a flight from Governors Island to Grant's Tomb and back -- twenty miles round trip. 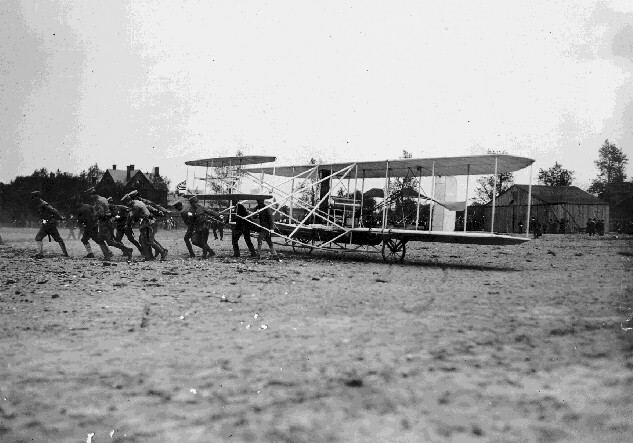 Orville was overseas helping to set up a company to make Wright machines in Germany, but Wilbur agreed to do it alone. He went back to Dayton, collected Charlie Taylor and an airplane, and was back in New York on September 20. 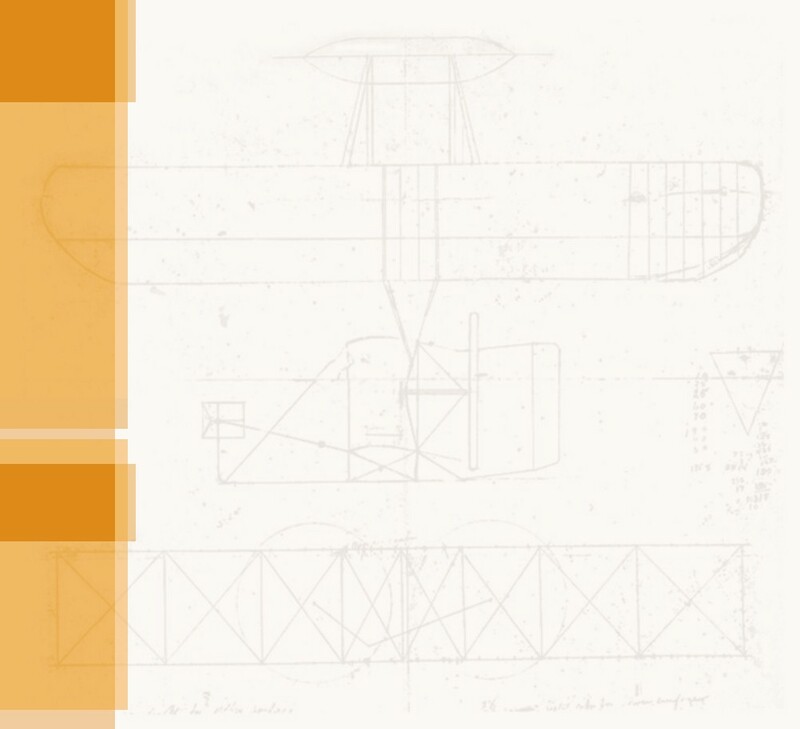 The next day, Curtiss stepped off the boat fresh from Rheims and found himself with a contract for an exhibition flight but no airplane with which to make it. His new partner Herring, without consulting Curtiss, had made another agreement with Wannamakers, a New York department store, to display the Rheims Racer inside the store. 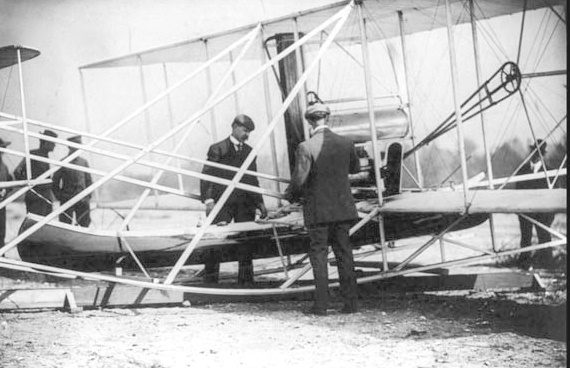 Curtiss made a brief run to Hammondsport and picked a new airplane. Unfortunately, it had neither the power nor the speed of the Racer. 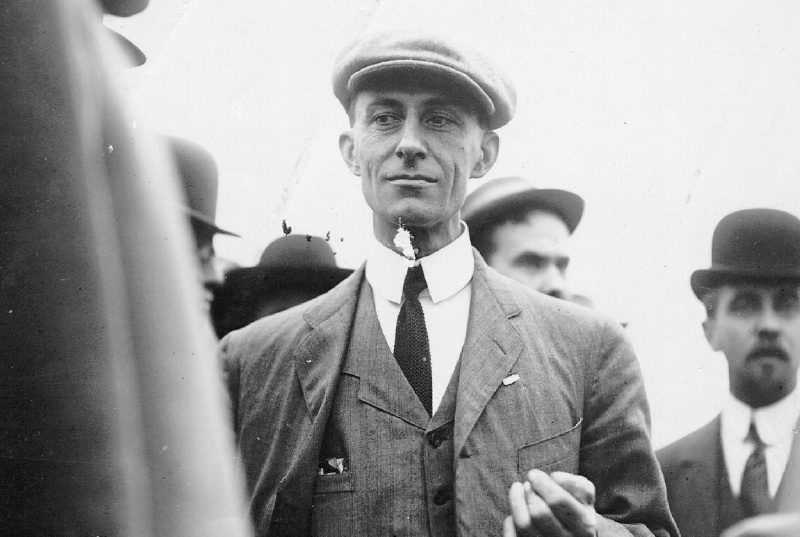 On September 30, with his New York contract just about to expire, Curtiss made a short hop in the new aircraft and found it didn't have the power necessary to fly safely in the winds that gusted in from the harbor. 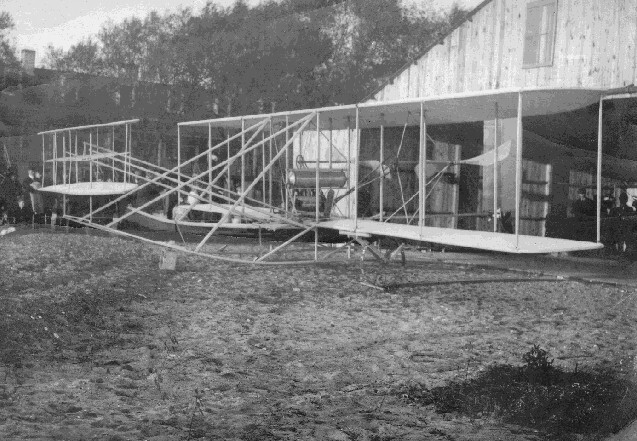 Wilbur had just finished installing a canoe under his airplane to act as a pontoon in the case of a forced water landing, and his seized this opportunity to put Curtiss in his place. He made a brief flight, circling the island to make sure the canoe would not adversely effect the airplane's performance. Then he took off for the Statue of Liberty. He made a sharp turn around Lady Liberty's waist as the boats in the harbor sounded their horns in a boisterous salute. 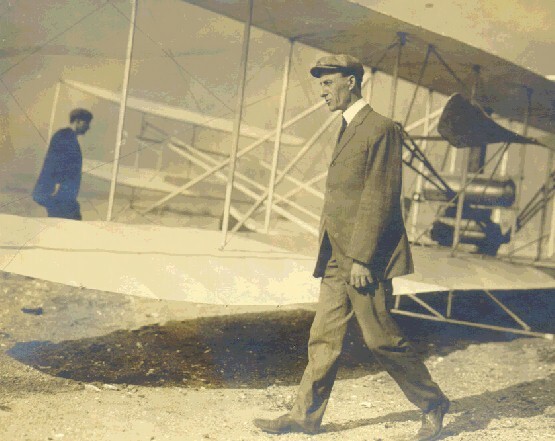 Curtiss made another attempt to fly to Grant's Tomb a few days later, and once again he put down because his aircraft could not handle the winds. He decided to pack it in and withdrew his agreement from the Celebration Committee. 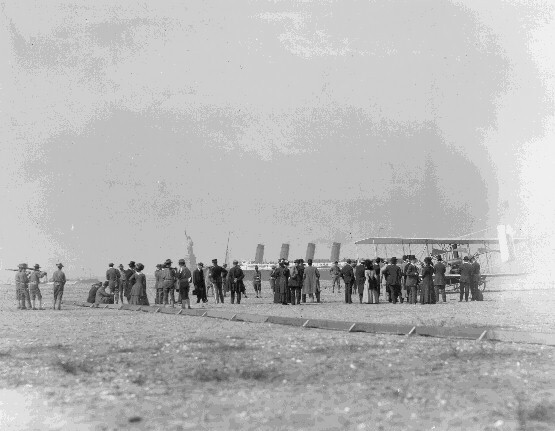 His took his airplane and left for St. Louis, where he had another engagement for an exhibition flight. 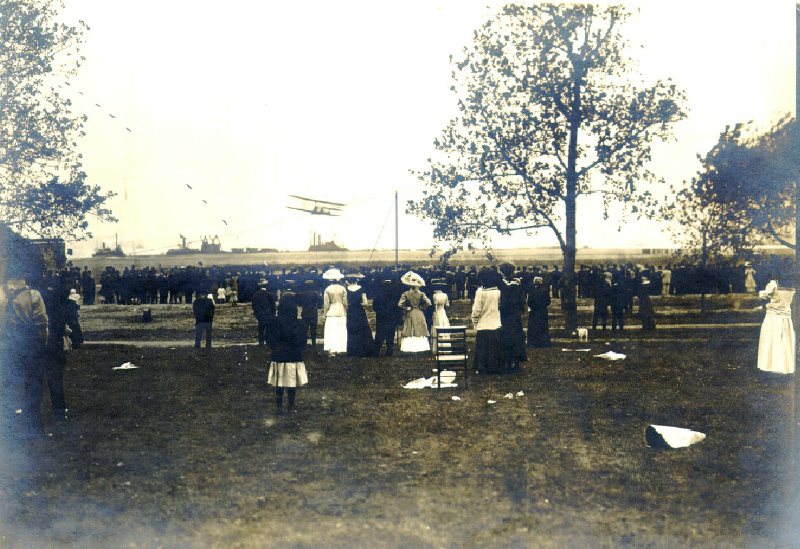 The next morning, on October 4, Wilbur showed up to make the long flight that he had promised and announced that he would combine it with the flight that Curtiss had been unable to make -- he would fly up the Hudson River to Grant's Tomb and back. 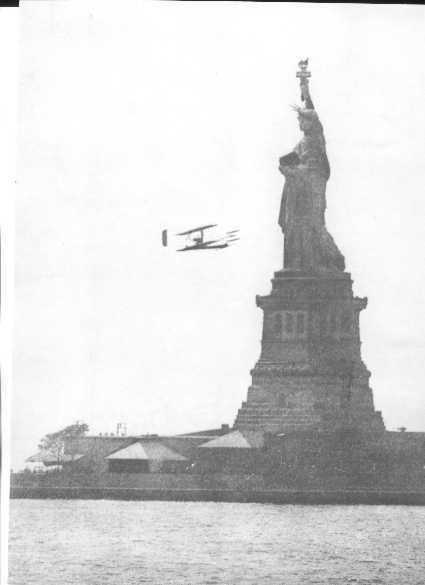 With two American flags fluttering from the front canard, Wilbur took off and flew up the Hudson, passing over an enormous fleet of ships from all over the world. He flew parallel to the western shore of Manhattan Island, where over a million onlookers saw him fly, his red canoe dangling beneath a silver-painted airplane. For 33 minutes, ships tooted, cars honked, trolleys sounded their bells, and people cheered him on his way. "It was an interesting trip," he wrote to his father that evening, "and at times rather exciting." 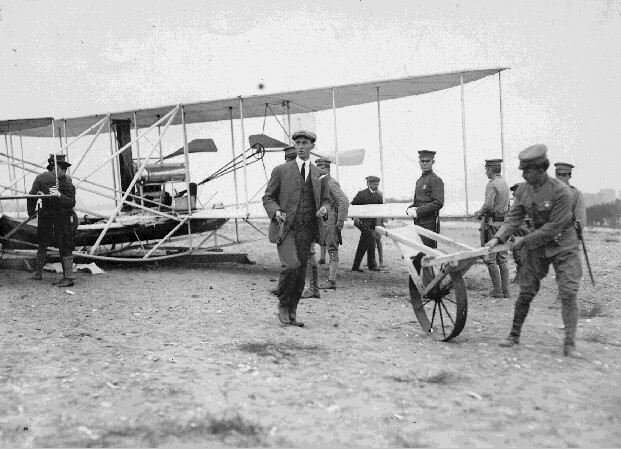 Wilbur Wright at Governor's Island, across the river from New York City. The Wright Model A Flyer outside its hangar. Note that one seat has been removed. Wilbur apparently didn't want to carry passengers. Soldiers roll out the Flyer from its hangar to the launch rail. 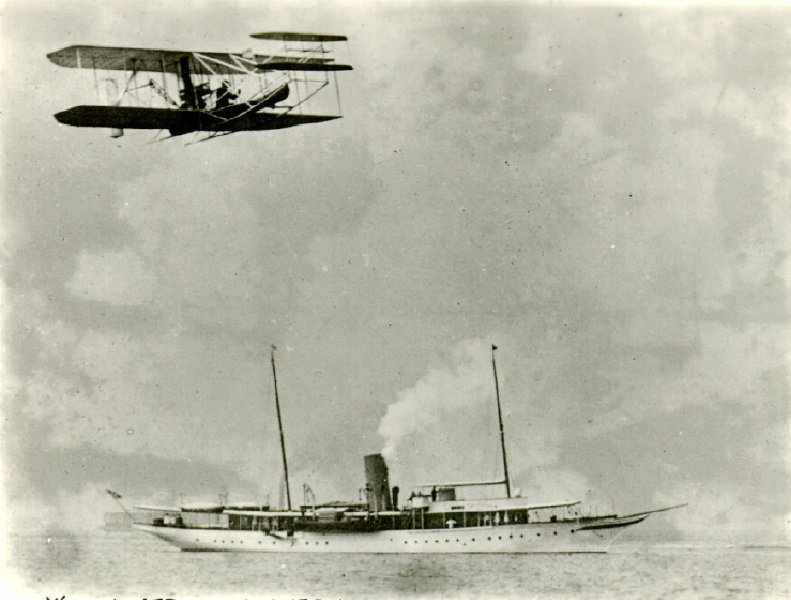 An ocean liner passes by the island as the Flyer is pulled to the launch rail. Wilbur gets the Flyer ready. Note that for this launch, Will did not use the catapult. If there were sufficient headwinds, it wasn't necessary. Will does a "walk-around," inspecting the aircraft. Over a million spectators watched from the banks of the river. Wilbur and Charlie Taylor installed a canoe under the aircraft to serve as a float if the event of an emergency landing in the water. The Flyer is launched from Governor's Island. Wilbur flies over the yacht "Viking." Will approaching New York City. 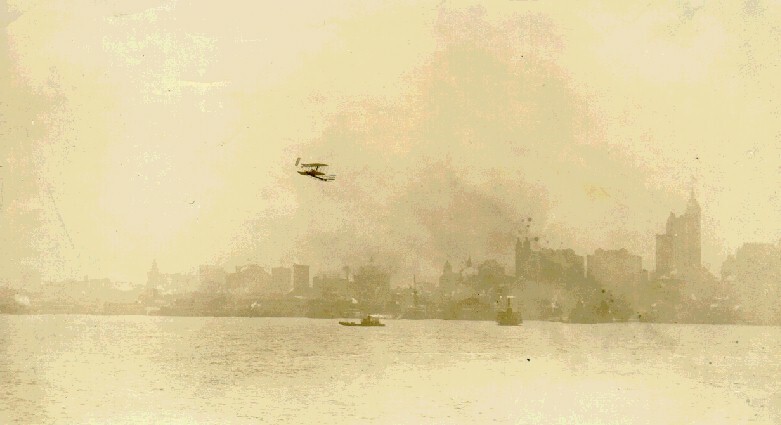 Wilbur and the Flyer pass by the New York City skyline. Wilbur banks the Flyer over the Hudson River. 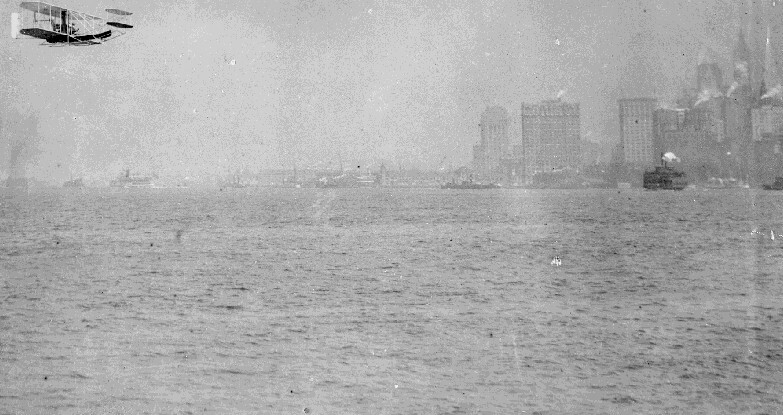 Wilbur approaches the Statue of Liberty. Wilbur immediately after the flight.